With the 2014 Ontario budget on the horizon (and the potential of a spring election looming), our Ontario public affairs team took a look at the priorities and views of all three parties as we head into a possible season of change. Geoff Owen, Brad Lavigne and Shabnum Durrani from our public affairs team offer commentary party-by-party. Commentary from H+K AD Shabnum Durrani. Will the Party support the budget? I think by definition they have to. Why or why not? This budget may also have to double as an election platform for the party so expect some large policy planks to be laid out. The question for the Liberals is whether they put something in the budget they absolutely know the NDP cannot support or if they try to work with them. What do they want the election to be about? A couple of issues are emerging right now including transit and pensions. She has always been a strong proponent of creating opportunities for every Ontarian to reach their full potential. Expect that to come through as well. When do they want the election to be? Probably in the Spring around the budget. What could derail the Party’s strategy? More government scandals. What do you think will happen in the spring? Uncertainty is the only certainty. But if I were to bet, I would say there will be an election. Wild card question: How does Kathleen Wynne embrace the positive parts of Dalton McGuinty’s legacy and distance herself from the negative parts? She is showing herself to be more open and available than the previous Premier. Her strategy of getting out there and meeting as many people as she can and building that personal connection with them will be what distances her from the negative parts of the Liberal legacy. Commentary from H+K VP Geoff Owen. Will the Party support the budget? Almost certainly not. Why or why not? 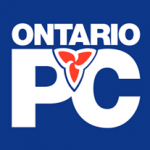 The PC strategy is to focus on the deficit and economy both of which they say are in crisis. It’s hard to imagine they will support a government they say put Ontario in this situation. What do they want the election to be about? Economic issues and fiscal management. What do you think will happen in the spring? A lot of furrowed brows and breathless anticipation among the commentariat before the NDP says they cannot support the government any longer. An election is somewhere between “possible” and “probable”. It is not a certainty. Wild card question: Shouldn’t Tim Hudak try to be more likeable? Yes and no. Tim needs to gain the confidence of Ontario voters but probably not by trying to be chummy. He needs to be a serious leader to overcome the province’s serious challenges. Commentary from H+K VP Brad Lavigne. Will the Party support the budget? Likely not. Why or why not? The NDP will table a series of asks from the Liberals. If those asks are in the budget, they will support it. If the asks are not in the budget, they will vote against. What do they want the election to be about? 1. Electing a leader people like (Horwath’s numbers are the best among all three leaders). 3. Making life more affordable. What do you think will happen in the spring? 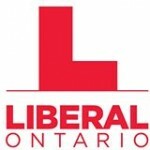 Liberals will ignore NDP budget demands; NDP vote against budget; election is triggered. Wild card question: How does the NDP become a plausible government-in-waiting? A compelling but modest platform; a highly competent run campaign; has to speak about where she wants to take the province, not just what’s wrong with the other leaders.